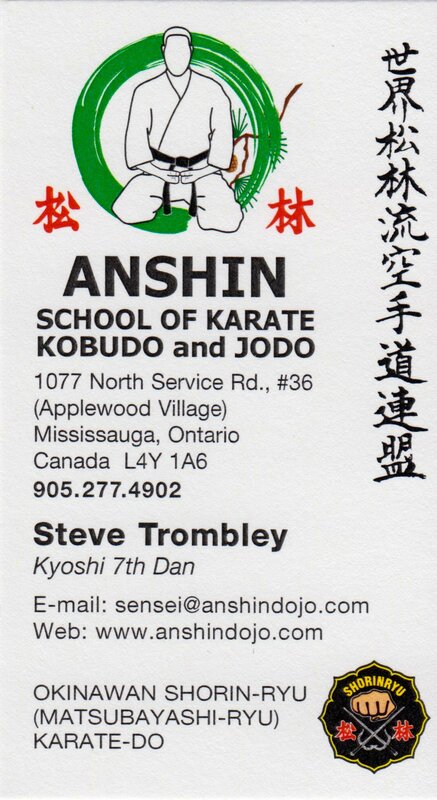 Steve Trombley is the owner and chief instructor at Anshin School of Karate. He holds 7th dan Kyoshi (a certified International Okinawan teacher's rank) in Matsubayashi Shorin-ryu as well as a dojo license. Recognized by the World Matsubayashi-Ryu Karate-do Association (WMKA), this dojo licence is signed by both Grand Master Shoshin Nagamine and Master Takayoshi Nagamine. 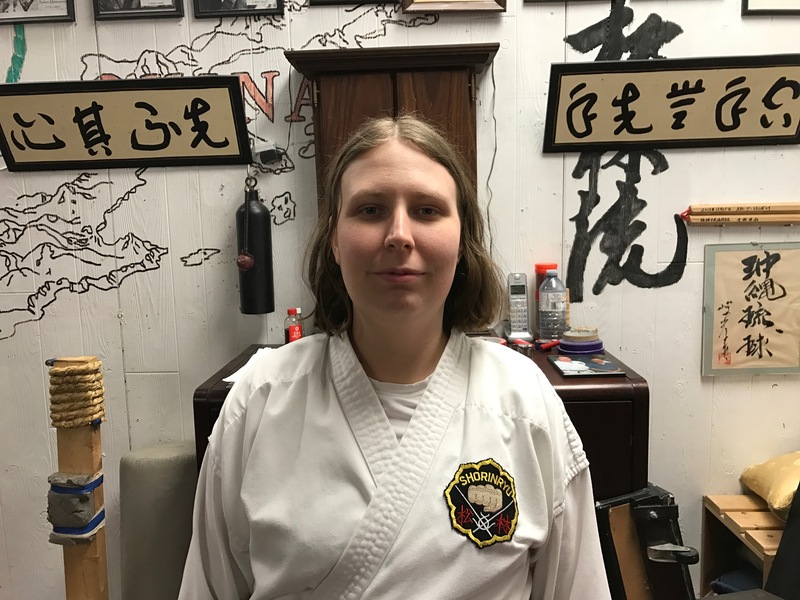 It signifies that Mr. Trombley is in good standing and is authorized to teach the Matsubayashi Shorin-ryu system as directed by the founder, Grand Master Nagamine and his son. 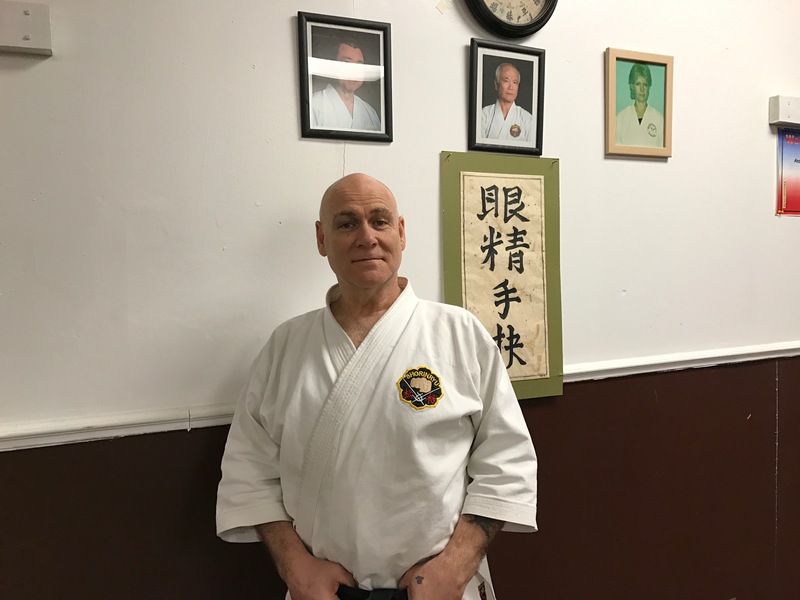 Mr. Trombley has been active in the Martial Arts continuously since 1963, when he began his training in Judo (under Sensei Frank Hatashita, who holds 3rd Dan), Shotokan karate (JKA) and Okinawan Goju. 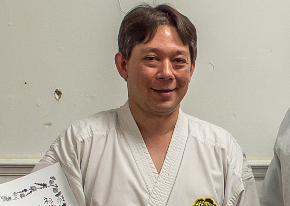 He has studied the Matsubayashi Shorin-ryu system for 30 years and trains under Master Takayoshi Nagamine. 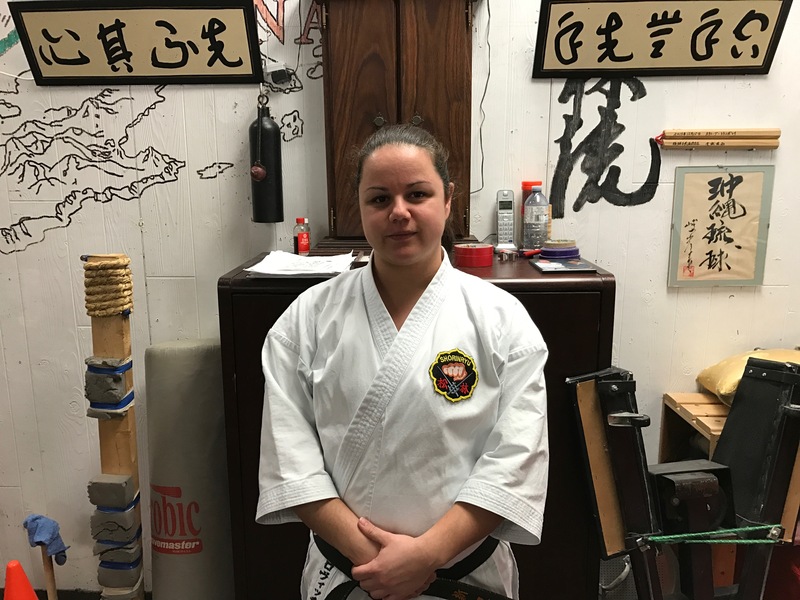 He also trains in Kobudo under Yoshiko Dometrich Sensei, and has been with this Sensei for 23 years; one of two original students training in Kyu Ryu Kobudo Hozon Shin Ko Kai in Canada. In addition to his karate training, Mr. Trombley continues his practice of Japanese sword arts of Iaido and Kendo in his spare time. Mr. Trombley has participated in all of the WMKA seminars in the United States, Okinawa, Europe, and Canada. 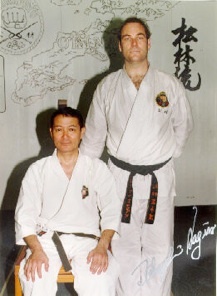 He was one of the hosts for Master Takayoshi's visit to Canada in 1996, where he had the privilege of training with Master Takayoshi during the 1996 Canadian Shorin-ryu seminar. 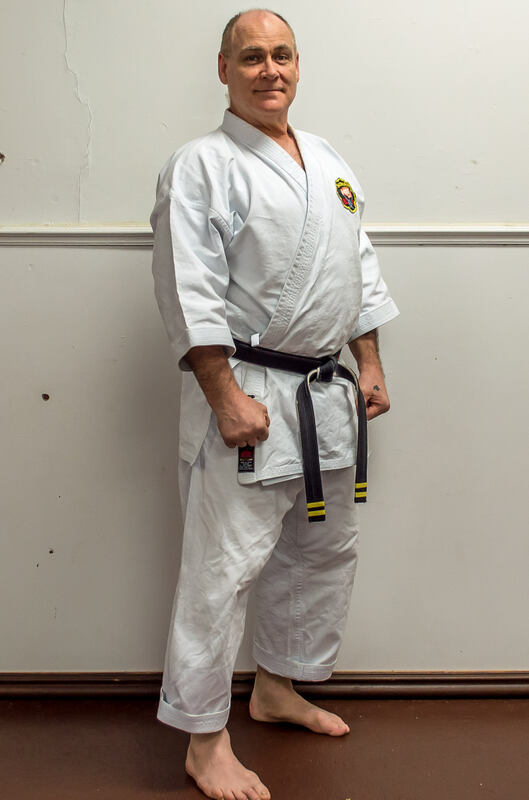 Mr. Trombley was actively involved in the organization for the WMKA seminar in 1997 and continues to hold seminars at his dojo on a regular basis.